For the last 42 years Firstflex Cables, a New Zealand owned family business, has specialised in supplying an extensive range of industrial flexible cables. Recent developments now see Firstflex broaden its offerings with easy access to industrial electrical cables and components. 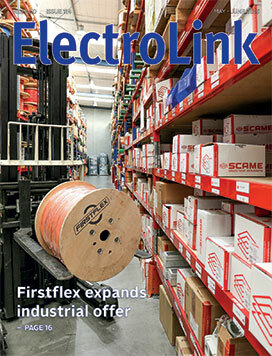 This expanded industrial offer is the result of the recent acquisition of Electrex Manufacturing Ltd by Firstflex, which brings a group of additional quality brands including Scame, Electrex, Electroflex, Connectwell, Gentech and Tibox under the Firstflex banner, says Firstflex general manager Chris Burgess. The purchase of Electrex also has provided the company with an entry into manufacturing and vassembly products made under the Electrex brand. These include meter boxes, custom-made builders’ temporary power supplies, traffic and street light assemblies, generator changeover switches and a range of power supply options for motorhome, camping and marinas. The most significant change in the 2010 Electricity Safety Regulations affecting installation and maintenance work is the way the connection of fittings and installations to a supply is treated. The changes redefined the prescribed electrical work of connecting to clearly separate it from livening which is not prescribed electrical work, and introduced an Electrical Safety Certificate (ESC) to confirm the safety of the connection and that the installation was safe to use. This certificate was created to verify an installation was electrically safe to use, but is now proving to be the most useful tool for dealing with new health and safety obligations which took effect in April. These new obligations have been placed on businesses supplying electrical services to clients who operate workplaces. They apply to commercial and industrial sites as well as residential where a domestic installation or part of it is used as a workplace. The new workplace safety enforcer, Worksafe, is now up to speed and serving up a diet of retribution against employers who fail to adopt safe work practices designed to protect workers from harm. The increasing flow of prosecutions under the old health and safety legislation could soon turn into a flood as new and far-reaching liabilities kick in under the Health and Safety at Work Act (HSWA) that came fully into effect last month. What we have yet to see is how the growing integration of the electrical regulator, Energy Safety, with its current host, Worksafe, will impact the electrical industry. The government shifted Energy Safety into Worksafe in 2013, and now that Worksafe’s administration and enforcement practices switch to the new workplace legislation, questions arise as to how the new obligations placed on electrical employers under the HSW Act will work with the requirements of the electricity legislation. There is no doubt electrical employers are going to be hit with greater frequency and effectiveness under the new workplace safety act. 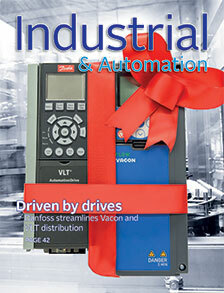 The merging of Finnish drives manufacturer Vacon into the Danfoss drives business is now offering a greater range of variable speed drives for New Zealand industry. The merger provides stronger backing for the combined range with a technical base of over 68 years’ combined experience in drive innovation between the two companies. To take advantage of its greater market share and to help make the expanded product portfolio more accessible, the company is streamlining its distribution in New Zealand with the appointment of two sales partners. Danfoss New Zealand manager, Stephen Broadbent, says the new distribution arrangements will provide a stronger presence for the company’s VLT and Vacon variable speed drive brands. 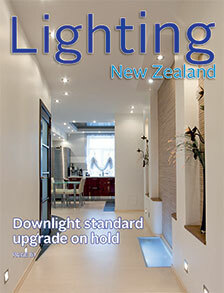 Just as the electrical safety risks surrounding downlights have been put to rest with the successful uptake of the new recessed lighting standard and the improved management of thermal insulation installations in domestic ceilings, new safety threats have emerged with the New Zealand government moving with rapidity to ramp up insulation retrofits in rental accommodation. This has awakened the spectre of more homeowner deaths following the disastrous campaign in 2007 where four homeowners and a trade installer stapled themselves to the national grid while installing foil insulation under floors. How many lumens per Watt? Concerned about the accurate presentation of lighting metrics in the promotion of lighting products, Lighting Council New Zealand representing 27 lighting suppliers offers the following advice and commentary. As all those in the construction and electrical industries will know, the rise and rise of LED lighting in New Zealand and international markets has been nothing short of phenomenal. This solid-state step-change technology has utterly transformed all sectors of the lighting market and is now a firm mainstream reality, with all other light-source types struggling to retain a sunset grip on market share. Many fledgling businesses have joined the industry as new-entrant importers or manufacturers on the wave of the LED transformation and the potential to be industry participants. This is a positive trend and a sign of confidence in the technology as active and vibrant supply chains are a key to healthy competition and the delivery of improving customer value.